With Spring arriving, I am going crazy trying to pack up all of my winter wardrobes and bring out all of my Spring and Summer outfits. With that said, I like to do the same for my husband. The one thing that I like about having to go through his items is that I do not have to tidy up his watch collection. 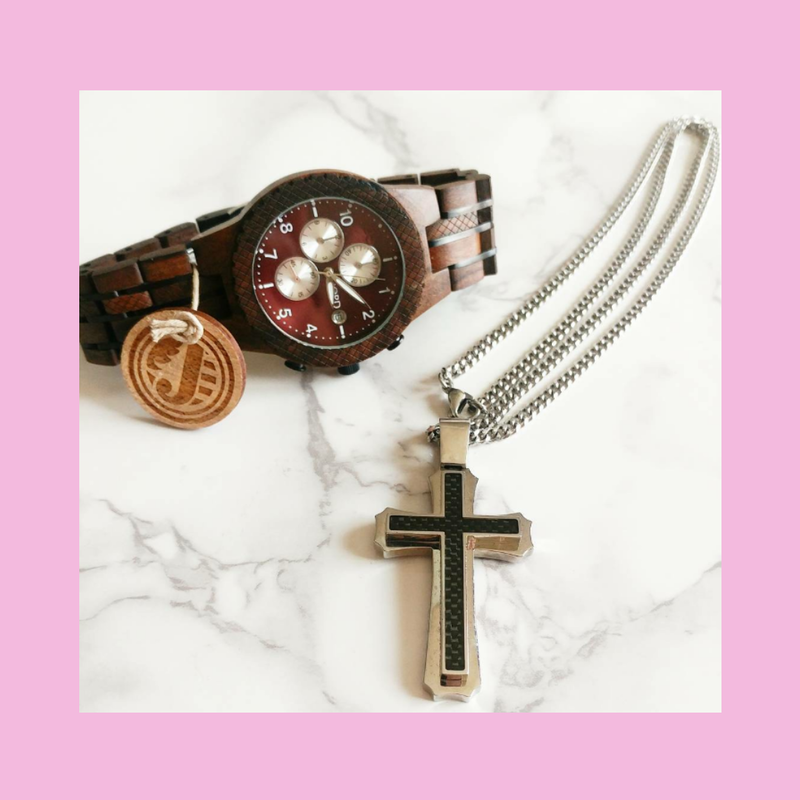 All of the pieces that he has are timeless and ones that he can wear all year long. Let’s face it, men’s fashion is easier than women’s. 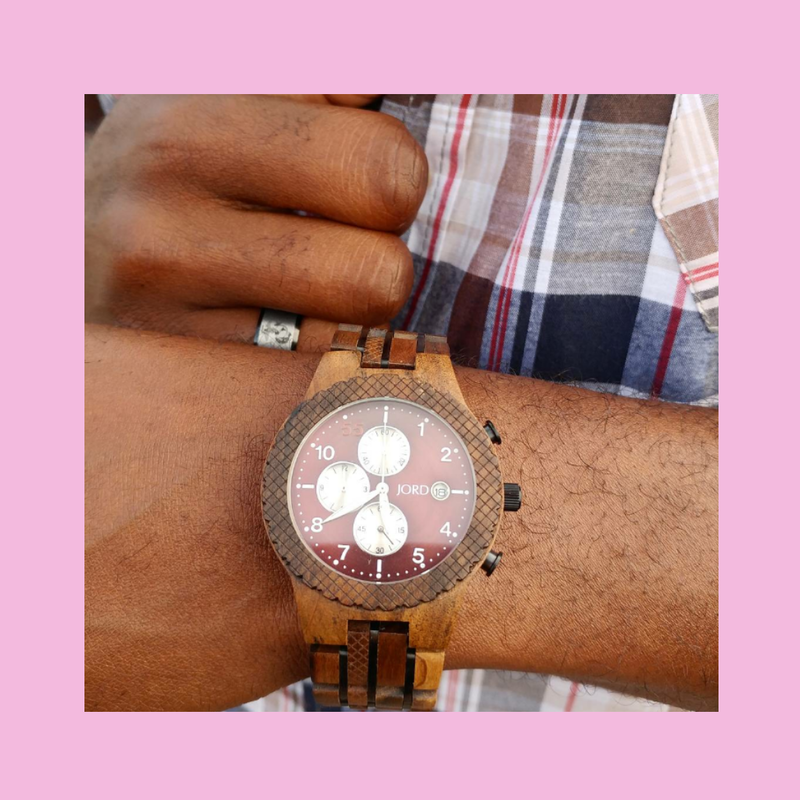 For years, I have continued to gift my husband with classic watches, and when I came across the all wood watch made by JORD, I could not resist getting one for him. I chose the The Conway dark sandalwood and burgundy design because of the rich burgundy color. I knew that it would be perfect against my husband’s skin tone. 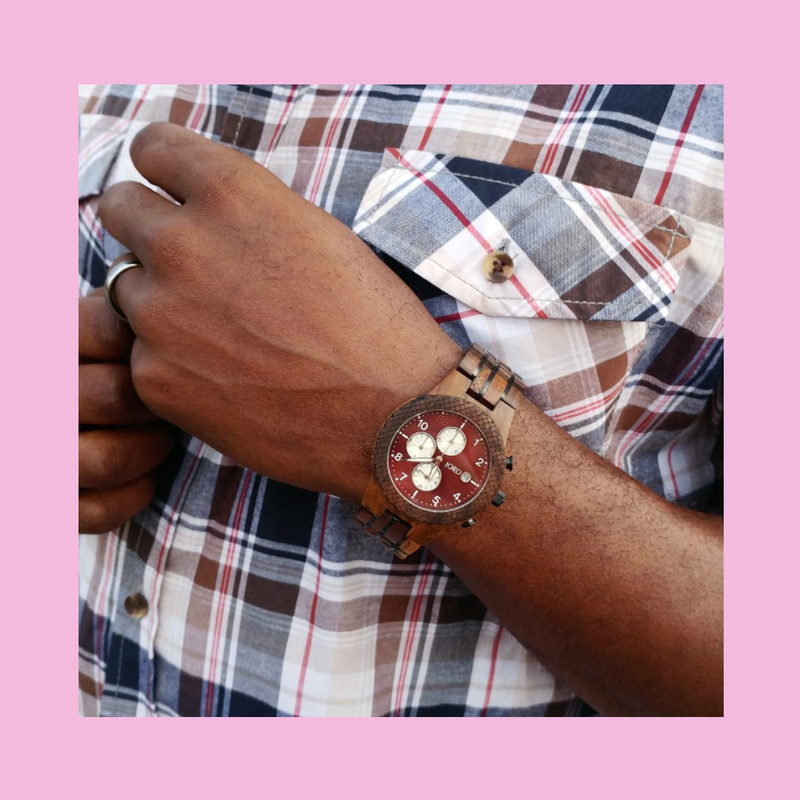 I chose the dark sandalwood versus the lighter tone because I wanted the face of the watch to catch your attention first. The burgundy is such a deep color that in the light it shines bright and indoors it almost looks brown and blends in with the dark sandalwood band. 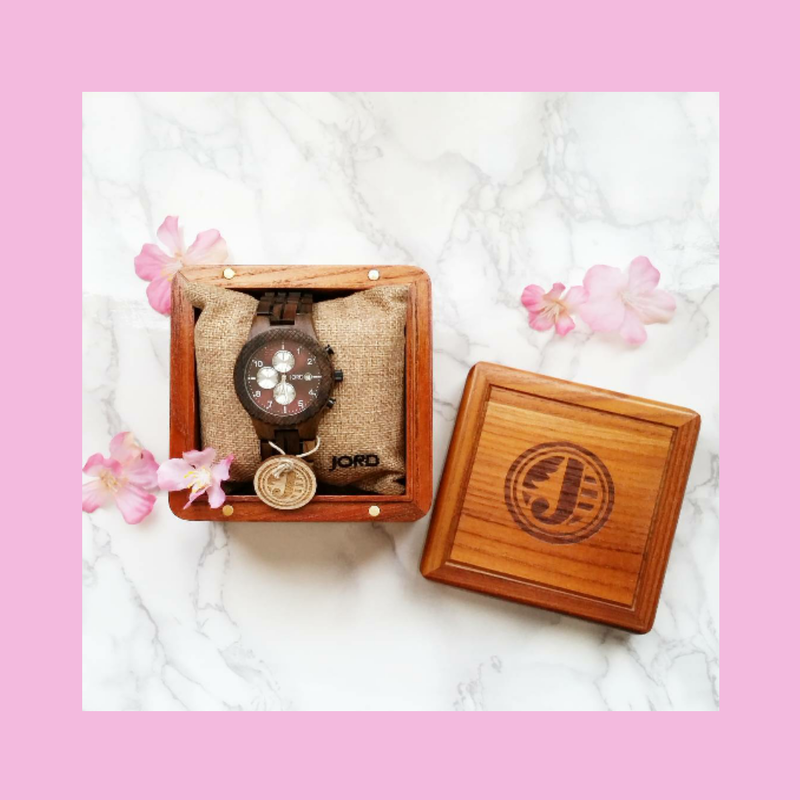 This JORD watch is the first wood watch I have ever gifted my husband with, and he was by far amazed by the design of it. This watch is masculine and classy which is the perfect definition of my husband. They have a great selection of women’s and men’s watches. Choosing just one is hard. If you are planning to gift someone with the perfect watch this year, JORD has the perfect selection. The winner will receive a FREE Conway watch of their choice! All other entrants will receive a $25 consolation e-gift code at the close of the contest.